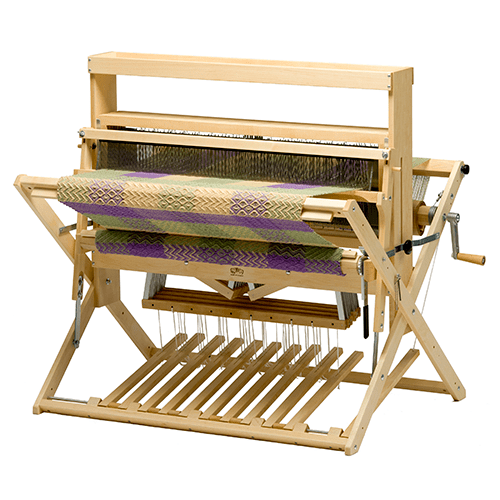 We built the Mighty Wolf for weavers who liked the Baby Wolf and wanted the same loom in a wider width. 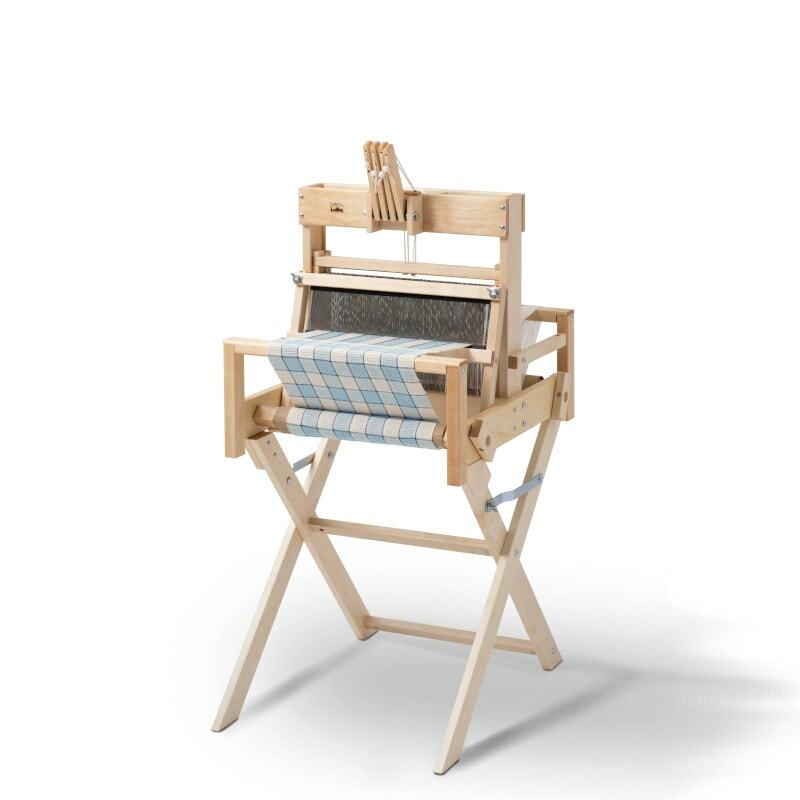 The Mighty Wolf has a weaving width of 36″ and uses the same X-frame design as the Baby Wolf. The Mighty Wolf comes with a high castle that includes a handy storage tray. Available in 4-shaft, 8-shaft, and 4 Now-4 Later models*.